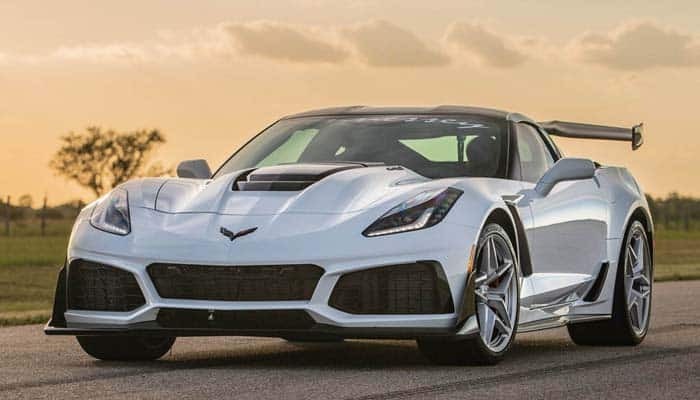 The Chevrolet Corvette received the revamped ZR1 for the model of 2019. Since last few generations, the ZR1 has posed a strong position in the class. And it remained as one of the favorite models of the Chevrolet Corvette. 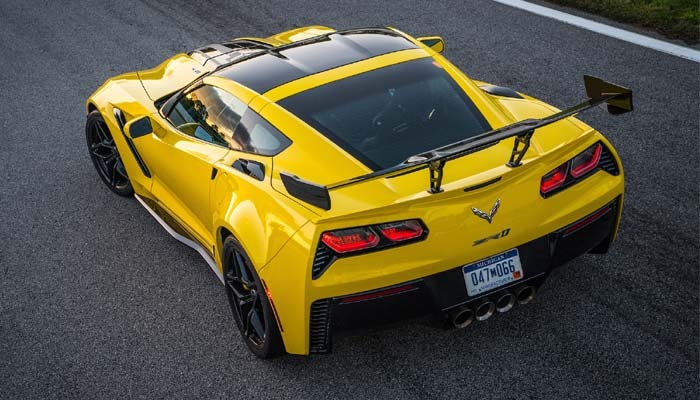 Besides the Stingray, the ZR1 has earned a notable fame as a powerful and attractive Corvette. Well, the first ZR1 was introduced back in 1969. It was the first ever performance package introduced for the Corvette line-up. The later models were introduced in 1990 and 2009. While the present model was introduced during the Dubai Motor Show of 2017 as the model for the year 2019. The recent model is based on the older Z06 version. While the improvements include a new drivetrain, increased structural size and a larger power enhancement system. Though it is still based on the outgone model, but it incorporates plenty of new parts. Indeed it is a legacy variant produced by Chevrolet for the Corvette. 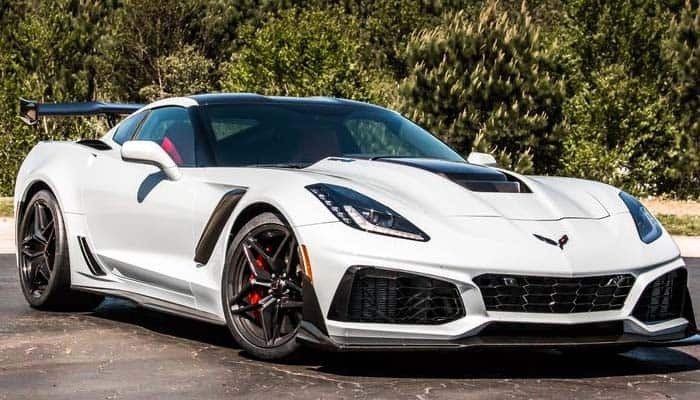 The Chevrolet Corvette ZR1 gets a starting price of $123,000. While a middle-class variant is available for as low as $136,000. The more specs you get enrolled in your car, the more you have to pay for them. Certainly, the final price with everything included would be around $141,000. Indeed that would suffice if you looking for a powerful yet comfortable sports car. Throughout the Corvette’s career, the ZR1 has been an influential model in the series. And even this time, it takes a notable position in the market. Though costly, but it is well-versed in attracting a number of performance loving folks. The Chevrolet Corvette ZR1 comprises of some masterpiece mechanism. It gets the GM’s LT5 6.2 L V8 engine with a 2.6 L supercharger produced by one of the leading electrical and mechanical giant, Eaton. Well, when you would hear about such enormous specs, you would certainly think about some nasty power load. And definitely, the Chevrolet Corvette ZR1 has that. It gets 755 horses pounding 715 lb-ft of torque, which might one day make this car fly sky high and jump onto Mars. And yeah, the Martians would even admire its power. Certainly, when you have hands on such a gigantic structure, why would you not think about testing its performance? Really you would prefer doing that. Well, the Corvette ZR1 would not disappoint you much. It can knock 0-62 mph within some good 3 seconds. And Chevrolet claims that ZR1 can roll up to 212 mph. We would recommend you to not to drive reckless on the streets. Instead, test a ZR1 on a race track. And for sure, you would love it. Ahead of that, the standard version comes equipped with the 7-speed Tremec manual transmission. While, there is even an 8-speed automatic transmission borrowed directly from the Z06. Further, the ZR1 is equipped with bigger tires, strong carbon ceramic brakes with a double wishbone system. Along with that it carries a magnetic ride control system. With all these, you cannot really roll down the track. Instead, it has a fine handling attribute that makes the ride feel soft and responsive. The present day ZR1 looks similar to the rest of the Corvettes. But it has some noticeable differences that you can point out even at the first interaction. Well, first is the hump the bonnet that appears to be the part of the bonnet. 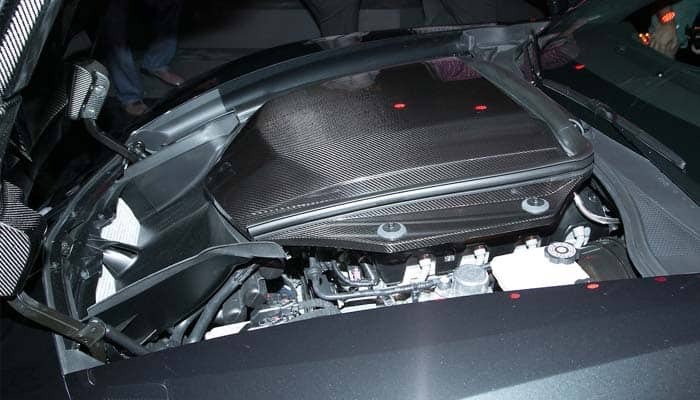 But actually, it is a separate opening acting as the vent for the large supercharger. Further, the 19-inch alloy wheels come standard. While the 20-inch wheels remain optional. Ahead of that, the rest of the cosmetic is similar to the other models in the series. Besides the rear wing, which could certainly make it qualify it as a driving jet, one day. Along with that, there is plenty of aerodynamic science applied to this car that keeps it intact with the road. Why would the interior matter much when the performance would suffice your needs? Obviously, you have to sit on something to ride this car. And that won’t really attract you if you are paying more than 100K for something not worth it. Well, the Chevy got it managed pretty nicely with the sport seats, tech savvy dash, a couple of convenient spots and spacing for two. Though it is not luxury, but it is good enough to allocate the money you would spend buying this car. 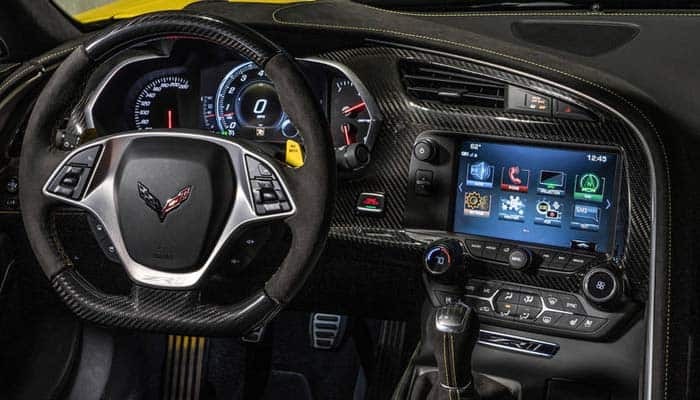 The Corvette ZR1 gets the 8-inch touchscreen infotainment system. It is certainly the one you would see in the other models in this series. Well, this system accommodates the SiriusXM satellite radio, USB ports, audio jacks and the Bluetooth. Further, the Android Auto and the Apple CarPlay are also available. While the navigation stays optional. Ahead of that, this Chevy gets the option for the Bose Premium audio system. Along with that, it features the 4G LTE and the Wi-Fi hotspot features. Well, the configurable cluster display shows some basic information, such as the oil temperature, tire pressure and the battery output. While the Chevy’s favorite performance data recorder is also available. Uncompromised safety is the part of ZR1. The Corvette ZR1 includes everything you need to have to stay safe on the road. It has a sufficient amount of airbags, reliable seatbelts and enough active safety specs. Like it includes the anti-lock braking system, the automatic braking, adaptive cruise control and much more. 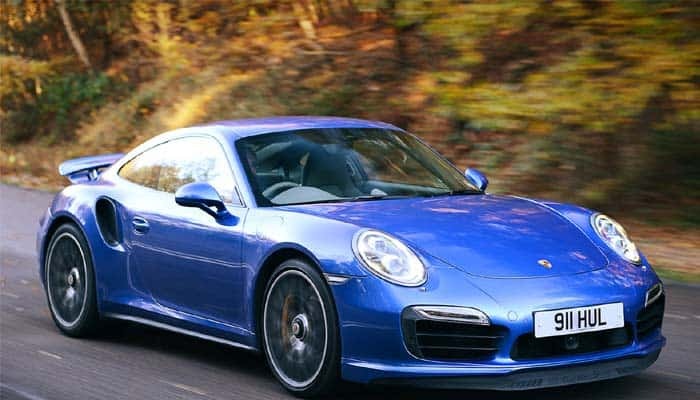 The Porsche 911 Turbo does not have too much power packed in it. But Porsche claims that it can lap 0-62 mph with 3 seconds. Well, that is good enough to match the Corvette ZR1. 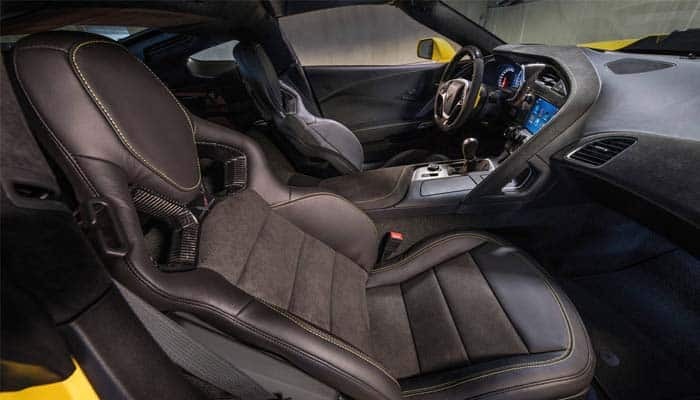 But its interior quality and the designing surpasses the ZR1. The Chevrolet Corvette ZR1 is the companion of the performance of passionate drivers. It has got everything that the speed enthusiast love about.